“We could not find places to eat that we liked.” This was the simple motivation for the creation of Modmarket from owners Anthony Pigliacampo and Rob McColgan. Sure there are plenty of higher end restaurants that use high quality ingredients, but Anthony felt he could not justify the time or expense to eat there everyday. “We wanted a place where I could eat every single meal for the rest of my life and have my health potentially improve”, says Anthony. Modmarket offers arguably just that by providing fresh, quality ingredients that are natural and healthy (i.e. REAL FOOD!). Their main menu categories offer fresh salads, unique brick oven pizzas, and delicious homemade soups. Anthony says they never intended to be an “uber” healthy restaurant, just provide simple foods made from fresh, quality ingredients. As a dietitian, I refer clients to Modmarket all the time. Their selection of fresh, healthy ingredients is top notch. A bonus I especially like is that they provide the nutrition breakdown of all their menu selections and all items are labeled gluten free and/or vegan. Your total meal calories are printed right on your receipt. It shows if you order a Thai Coconut salad, for example, you are eating 490 calories, 38 gm fat, 19 gm carbohydrate and 24 gm of protein. Not bad. I am not a huge advocate of meticulously counting calories, but it is nice to know what nutrition value is in your food and that Modmarket has nothing to hide about what’s in their food. In spring to fall months, look for Mod Market in the Boulder Farmer’s Market. They literally provide farm to fork food by using produce from local farms and serving food with it the same day they get it. During the summer, they purchase produce from Munsuns Farms and Oxford Gardens in Boulder. Eggs come from some farms near Platteville, and all the bread they use comes from Udi’s, a local bakery. Mod Market also now has catering options, and they also have 2 branches open in the Denver metro area in Glendale and Greewood Village. Keep your eye out for subtle changes and additions on their menu; they are constantly finding new sources for things that can make their food better. 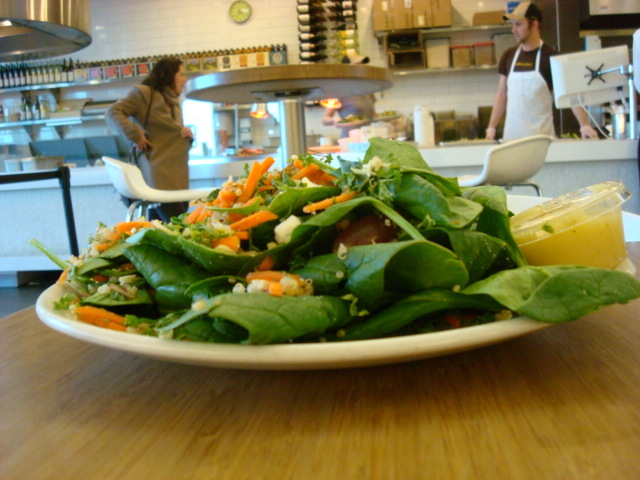 Their salads provide a variety of vegetables, fruits, some have proteins and their homemade dressings. Unique flavors such as Thai coconut, autumn leaf and fiesta are just a few options that pair unusual combination of toppings that compliment each other to create a delicious salad. 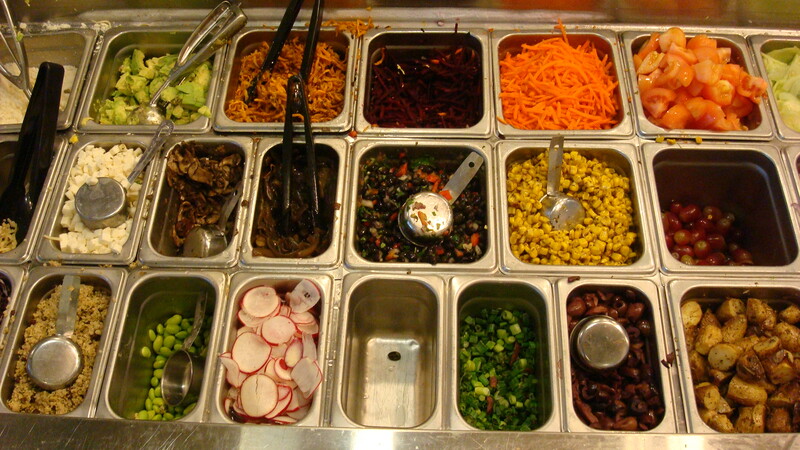 They also have an option to build your own salad with up to 5 of their salad toppings. Choose the Autumn Leaf salad for the fewest calories in this category at 250, or choose one of the salads with meat that provide more substance and around 25 gm of protein. 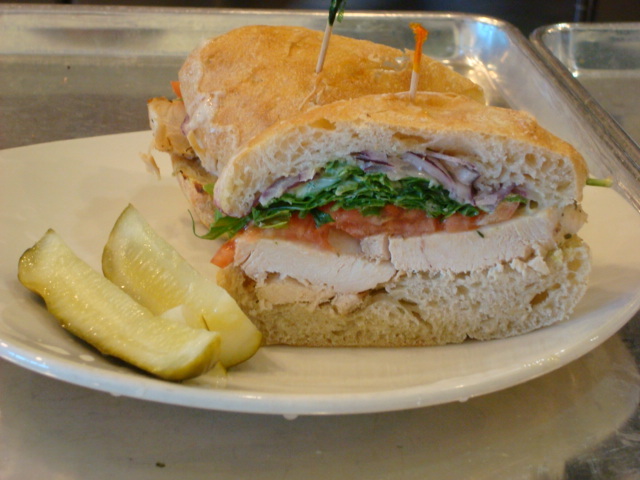 These sandwiches are piled high with fresh ingredients and quality meat. They are thick and flavorful, with delivering around 500-600 calories each. Flavor selections range from vegetarian mozzarella or hummus to chicken and steak. Modmarket delivers quality pizza that does not leave you feeling heavy afterwards. 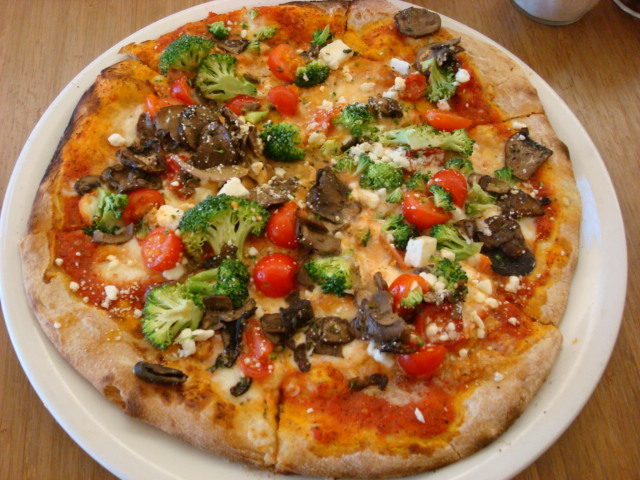 Most of their pizzas are more like salad on thin baked crust (regular or gluten free). Just like the salads, their combinations of ingredients is genius. They even have a dessert pizza made with nutella and fruit. You can choose a half pizza to pair with a salad, sandwich or soup or order a full pizza. Modmarket soups are homemade and full of flavor. Most of the time you not taste many ingredients in pre-made soups beside salt, but here the soup tastes like it came off of mom’s stove. As with all the menu, there are always gluten free and vegan options. Previous Previous post: Rumor Alert: Trader Joe’s Coming to Boulder?